Working on the wings here. 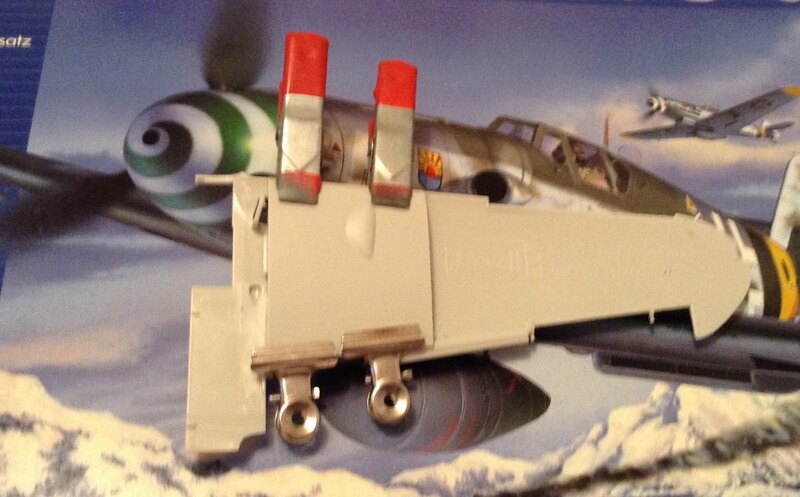 I've decided to ignore the instructions and build them up a bit then slot them onto the wing spar. I've also left out the outer section of the wheel well wall as this attaches to the wingspar. Doing things this way gives me a bit more wiggle room if I happen to screw up the alignment. Hmm...well just how did this happen. Looks like some filling and sanding. A little Wimbledon on TV and a little clamping.Tail and outer wing fit is ok, although I will still probably clean those lines up. 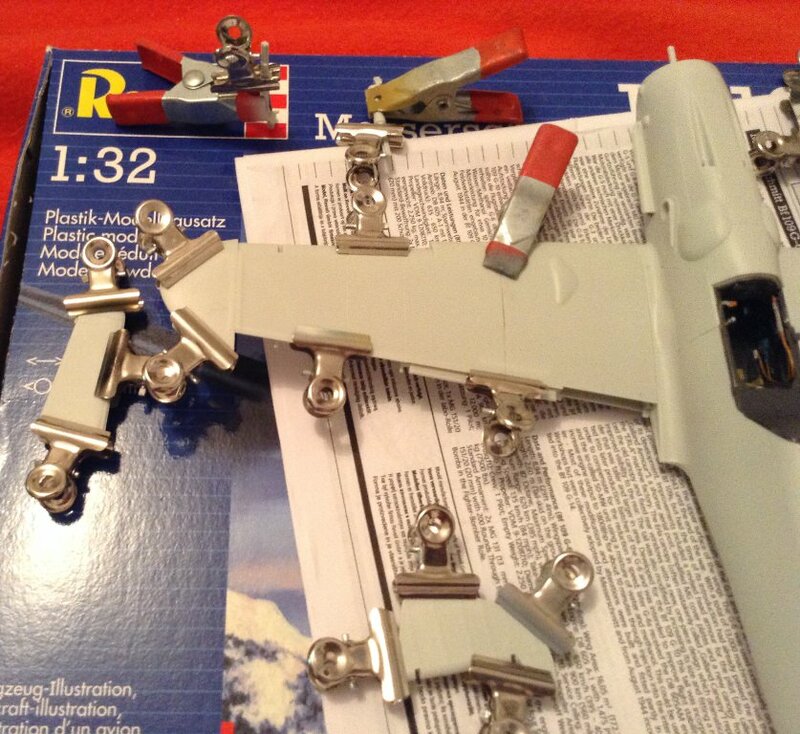 Control surfaces, tail and landing gear are in the clamps too. Just gotta wait for it all to dry before I can start clean up. Still more filling and sanding. I think I've fixed the upper wings, still need to work on the wing to fuselage joint but there is a bit of a join line on the lower surface where the two lower wing halves fit together. That's got super glue on it, just awaiting it to dry. 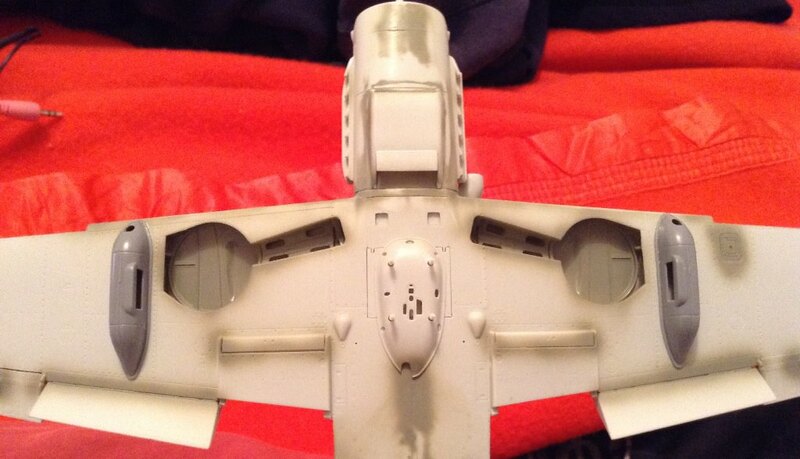 Wing control surfaces are drying. 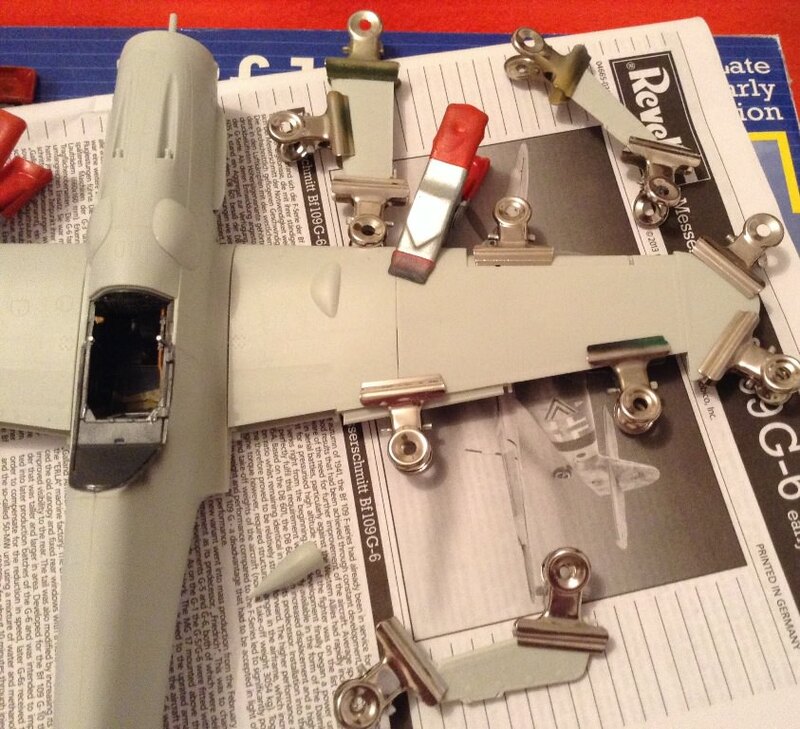 I really hate that Revell keep trying to make all the control surfaces movable. It's a gimmik, please Revell, 7 year old kits don't spend 65 dollars on your model, they buy a diecast kit for 10 bucks. I've tackled the wing roots, deciding to fill them in and rescribe. 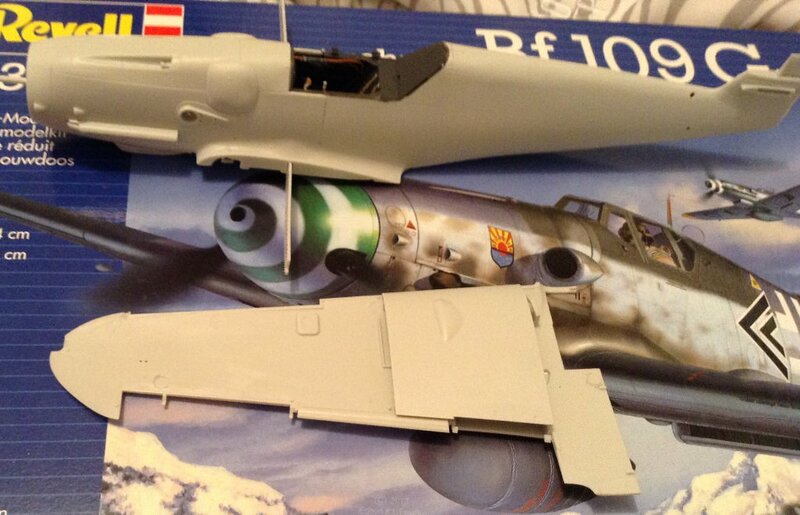 As you can see the flaps and ailerons are on. 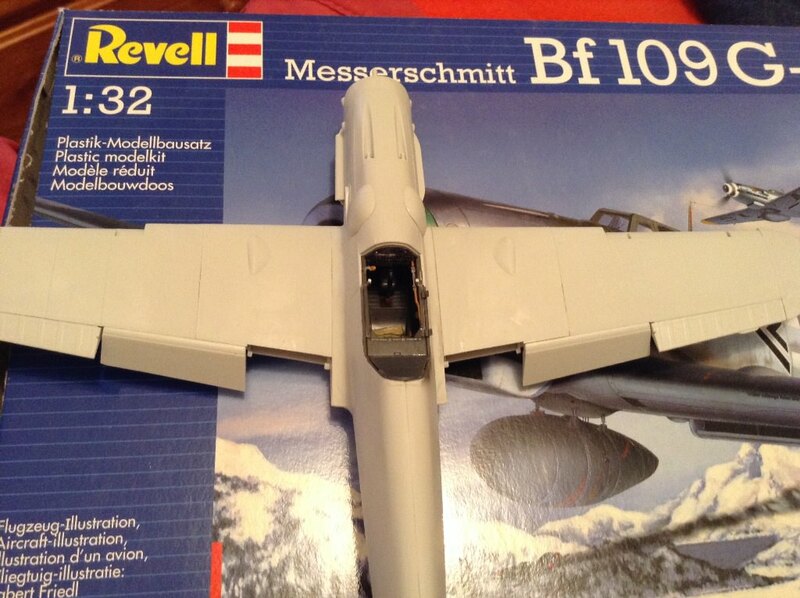 Now here we see another of Revell's strange decisions. 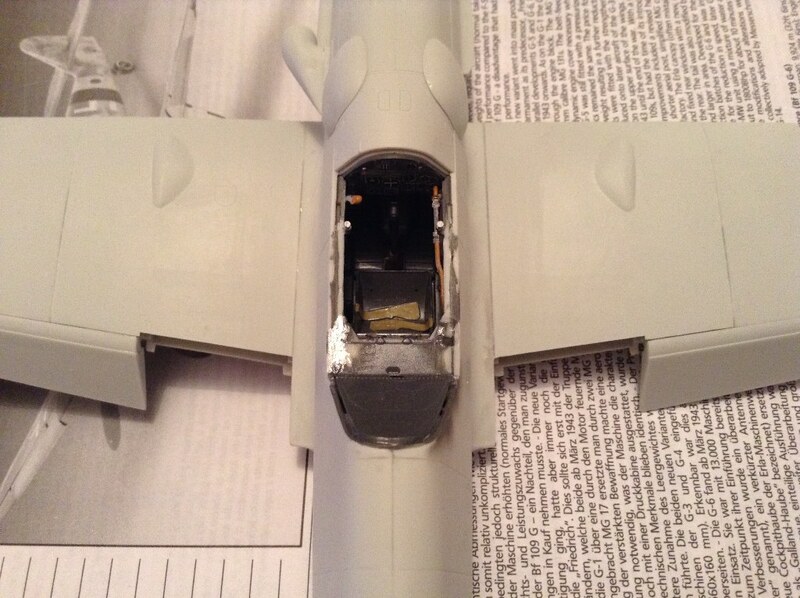 They give you two part control surfaces, that are separate from the main wing, but then mold the actuators in the 'up' position...so why give separate parts? Anyways they are glued in and the flaps are made to be down, they click in without glue so all well there. Tail fits nicely. Again the gimmicky moveable control surfaces rises it's head here. 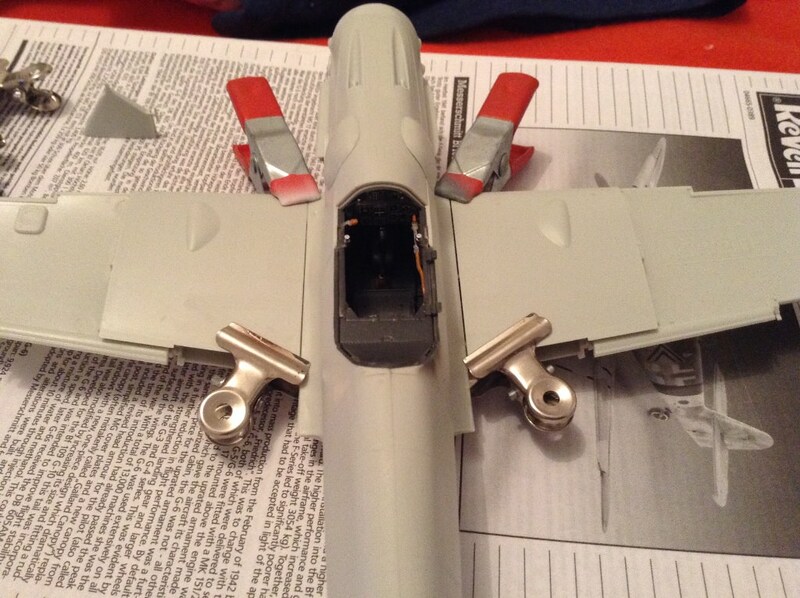 I just modified the tabs to take the control surfaces after they were glued together. I might actually have them deflected since I've gone to the trouble of persevering those movable parts. However, if you use the tall tail, you cannot defect the rudder as the actuator arm is molded to have the rudder straight. Another annoying thing here is there is no leather boot to the tail wheel strut. Yeah there are a lot of those "WTF?" moments from manus, and its just Revell either. Looks good so far! All the smaller parts are on, I've painted the gear and the wells RLM 02 and while at it, did a spray around the joints looking for faults. Thankfully nothing bad stands out, only the usual touch ups here and there with some super glue and sandpaper required. Trouble shooting the joins is complete, the cockpit is all nicely painted again and as I go to paint the blue I remember I forgot one important thing; the 20mm MG 151 cannon pods. 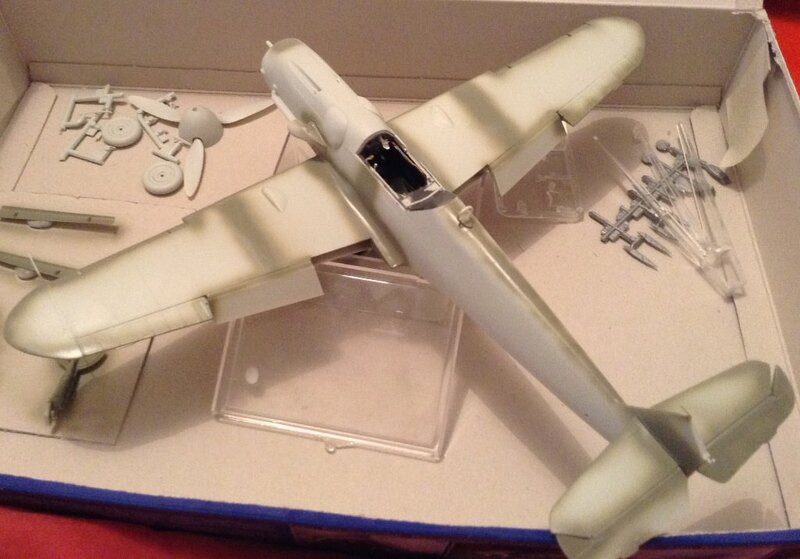 This is another WTF moment from Revell, as they have gone to the effort to mold both early and late G-6 parts in this kit, allowing you to also make a G-14, but then fail to give you any anti-bomber armament. Fortunately I have built and have a few Hasegawa kits in the stash and almost all their G/K line come with cannon pods that with a swipe of sandpaper, fit nicely. Looks pretty good Brad, looking forward to seeing paint on this one. Great scheme by the way. But, enjoying your work now. Haha yeh I had to double check that one before I committed glue. Blundering on, painting smaller parts and masking up. All good fun, but slow. I just need to work out how to paint a thin yellow line around the spinner.